WOW! What an amazing skirt (if we say so ourselves!!! 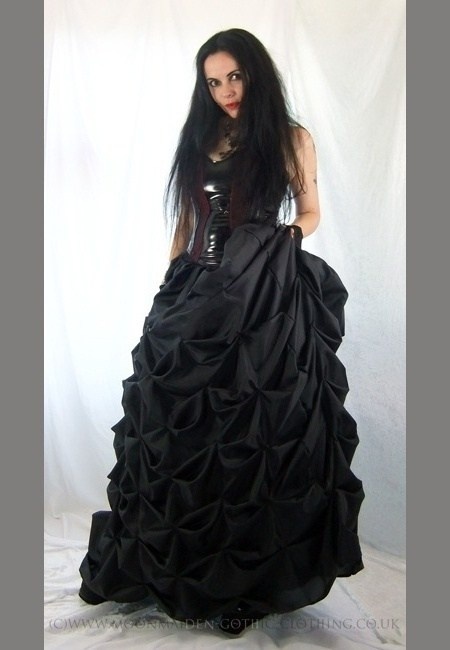 )<br> <br> This is the wonderful SELVARIA SKIRT! <br> <br> It's made from either Black or Purple dress fabric, with two layers of net to give it shape and then fully lined. It's gathered into an elasticated cotton waistband, and then there's zillions of rouches to give the skirt it's shape. It's a very, very long skirt and very, very beautiful! This is the wonderful SELVARIA SKIRT! It's made from either Black or Purple dress fabric, with two layers of net to give it shape and then fully lined. It's gathered into an elasticated cotton waistband, and then there's zillions of rouches to give the skirt it's shape. It's a very, very long skirt and very, very beautiful!